I have know my buddy, John Adams, aka QuiltDad, for quite some time now. We’ve even met in real life person on many occasions at various Quilt Markets through the years. While I have been doing lots of little things here and there, John’s managed to get out two books! (Way to Go, Buddy!) 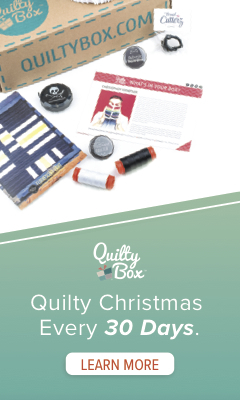 I was blessed to have a project in his first one Pretty in Patchwork Holidays. And now I get to share a quick review of his second book, Beyond Neutral. John has created a lot of cool modern quilts here. Big impact, easy to piece. And all of them “modern” without a single white or cream background. I was reading his intro, and he said that a lot of people commented on his blog about an apprehension of using background colors other than cream or white. Like John, that kind of surprised me. You know how I roll, I think red if it’s a tonal or solid would be a great background, or “neutral” setting for a lot of yummy prints. 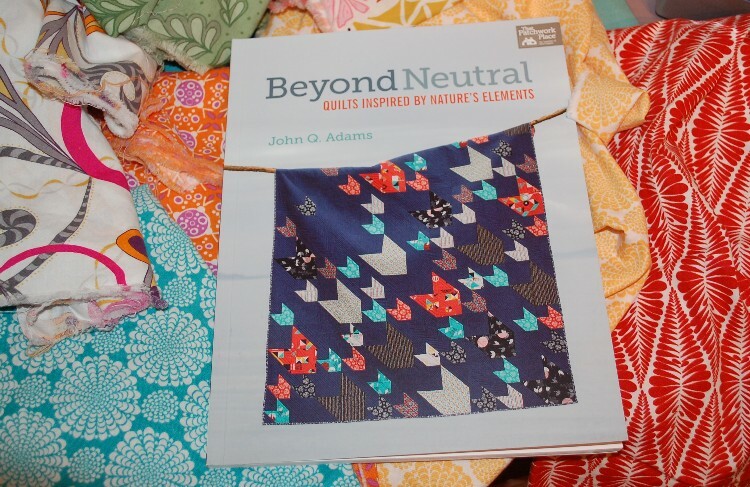 So if that is you, and you need inspiration for using something other than cream or white for the “quiet space” in your quilt, then Beyond Neutral is perfect for you! So now I will share some of my favorites, and then when I am done, you get to comment to win your own E-copy of the book from Martingale! YEAH! So I have looked through this book over and over again, and a few of the quilts keep coming back to me. The cover quilt Pacific Crest of course is the bomb, and a lot of people on John’s tour have already talked about how much they love it. 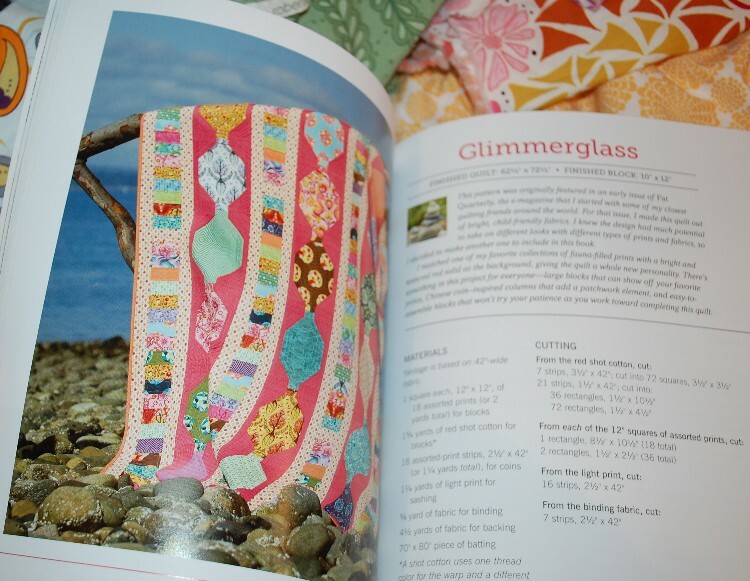 But I was also very smitten with Glimmerglass and most likely because I just love all the prints! You know how I love scrappiness in all forms! This quilt is a great one to use up (and likely make more) scraps by the bin-ful! And then of course I love Canyonlands because John made the Starling Block that he originally designed for the Generation Q blog back in 2012 into this quilt! I made a couple of the blocks back then and they are buried in the studio somewhere…I was always going to combine them with some “traditional” flying geese, but never got around to it! But to make a sample for you today, I chose Glacier Bay. I love the bold. modern graphic-ness of this quilt as well as a certain “traditional” feel this quilt evokes. And I could give you a good idea of how this would look with just four blocks. I stayed up way too late last night making these four blocks. My car accident a week ago has put a cog in my productivity goals here at the Blue Nickel, so these blocks were made last minute and this post is going up just before noon on the East Coast….because it’s still morning here on the Pacific Coast and I have been making appointments, on the phone…all sorts of stuff that is beyond normal around here. 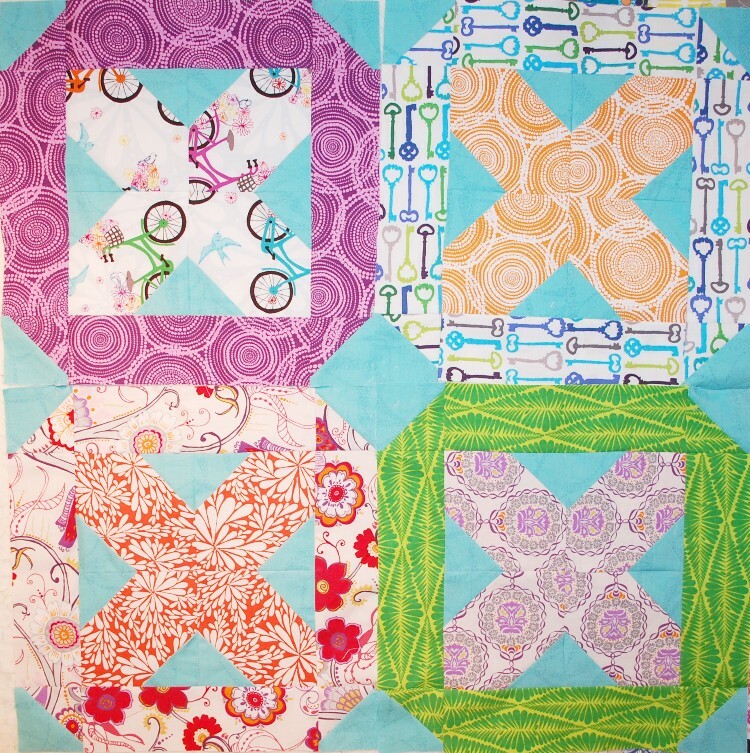 I used an assortment of Valori’s prints from Quill, Blueprint Basics, and Ashton Road for these blocks. Loving the hugs and kisses image that I see when I see them together like this! Okay now for the giving away part! Just check out the posts so far on John’s Book Blog Tour and tell me which quilt featured you like best and why! And make sure to comment on the other blogs to increase your chance to win!! I’m loving Pacific Crest and Canyonlands!! 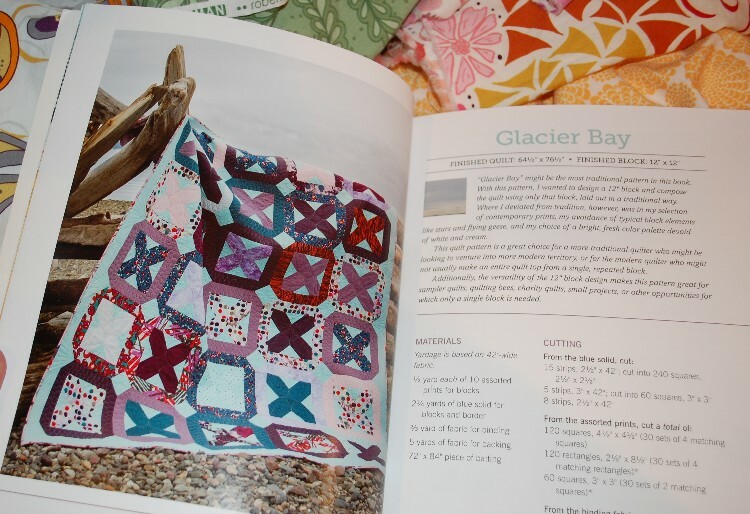 Awesome quilts in this book makes it hard to choose!! I love Glimmerglass ! I could really make it funky with a lot of scraps!! So many great quilts in John’s book! My favorite is Glacier Bay for a few reasons. Glacier Bay is in Alaska (my home) and I love the “hugs and kisses” of the “X’s and O’s”. I always sign, for the most part, with xoxo under my name, hehe. Love your four blocks! Lovely fabrics! Hope your healing and feeling better from your accident. Thank you and Martingale for a super giveaway and a chance to win. Pacific Crest for sure – so striking. Pacific Crest and Fallen Timbers. I love that John is using color in places where most of us use neutrals. I like the possibilities of the starling block in Canyon Lands… and the yummy ‘orange creamsickle’ color of the background fabric. Take it easy on yourself while the body heals! I am leaning to Canyonlands. i love glacier bay, brings back memories of our alaskan cruise years ago. Pacific crest is edging out Canyonlands as my favorite. Thanks for a great giveaway. 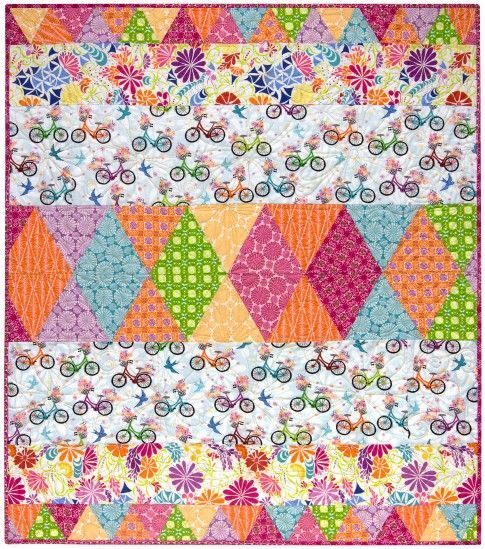 Glacier Bay is a perfect pattern for a scrappy quilt, or to use several shades of the same colors…very versatile. 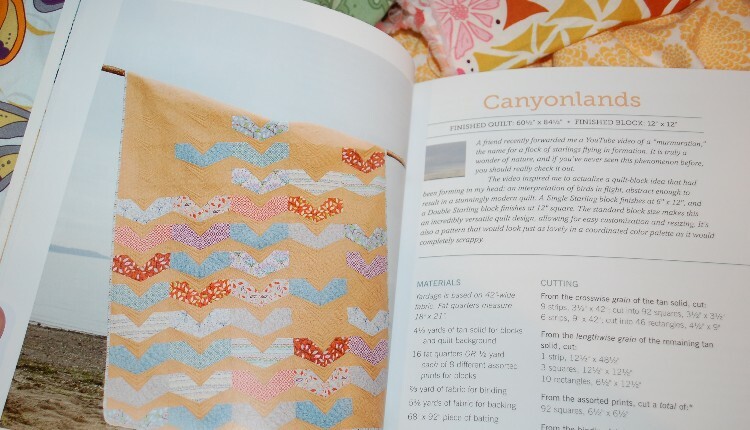 I like the quilt on the cover and canyonlands. I’ve never had an ecopy of anything but would give it a try if I were the lucky winner. I like the Glimmerglass and Pacific Crest quilts the most though all of the quilts were fantastic. I really like the mini on Happy made using the Pacific Crest pattern. Would love to make one myself! i love glacier bay! such lovely fabrics and colors. I like pacific crest, I don’t really know why, maybe it’s the fact that it’s the same block for the whole quilt, but in different sizes. I really love the cover quilt Pacific Crest. I’ve been looking out for a pattern to make a quilt for my son, and I think this would be just perfect. I like Glimmerglass! I have a lot of scraps too!